This is the perfect workspace setting for companies that value practicality and unmatched convenience. There are a range of workspaces to choose from, including exterior/interior offices, coworking spaces and virtual office options. In addition, it is set in a prime location. This brand new centre is located in the centre of Bonn, right beside Bonn Central Station. A large selection of restaurants and hotels are available in the local area. Located in the prestigious city centre and surrounded by museums this stylish and modern business centre welcomes guests with an extraordinary atrium. Comfortable breakout areas and spacious meeting rooms available. For efficient communication, the centre is equipped with telecoms, and the space is accessible 24/7 for your convenience. Just a short drive away, there are spaces in which to host conventions and networking events. This historical building, centrally located in Bonn, consists of fully furnished offices and apartments, provided with parking facilities. Modernly equipped, this building benefits from advanced technology. It is surrounded by shops, and is well served by public transport. Within walking distance, there are lots of restaurants, bars and vast green spaces. There is a supermarket close by, providing all the mundane amenities you could require. This impressive business centre consists of offices of various sizes available at flexible rental terms to accommodate any of your needs. Immediately available and ready to use, these office spaces are provided with a full range of services and facilities, including meeting rooms, videoconferencing facilities, the latest technology systems, on-site bistro and kitchens. 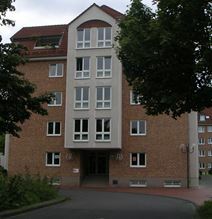 Just off the centre of Bonn, this building benefits from direct access to the motorway and excellent public transport links.